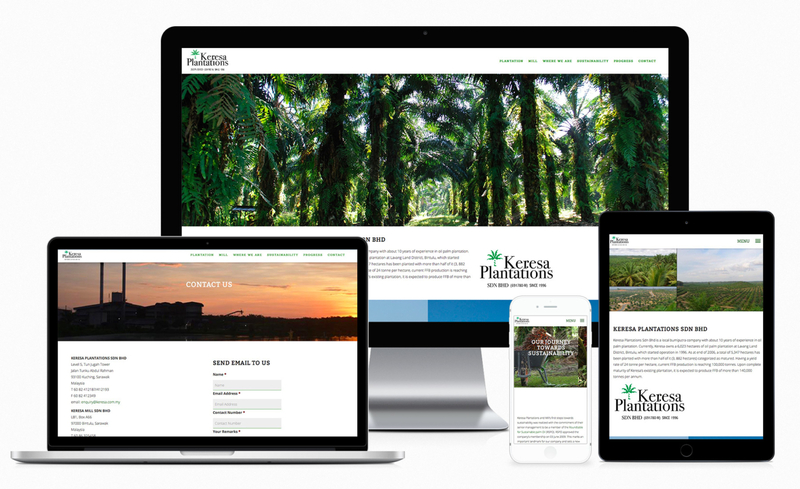 Keresa Plantations Sdn Bhd is a local bumiputra company with about 10 years of experience in oil palm plantation. Currently, Keresa owns a 6,023 hectares of oil palm plantation at Lavang Land District, Bintulu, which started operation in 1996. Design and build the website with corporate look and feel, with the modern one page scrolling/parallax design that is friendly for smartphone/tablet and desktop.